The experts say that a sustainable future will require more sustainable, efficient and resilient cities. To address that challenge and help facilitate and recognize solutions, Crossbow Communications and Earth News have joined together to launch the Greener Cities program–a multidimensional online portal and a powerful global awards program. Cities around the world are home to about 50 percent of the world’s population and they generate 80 percent of our planet’s greenhouse gases – the primary human contributor to climate change. Meanwhile, many communities are bracing for the increasing threats of fires, droughts, floods, severe weather, population displacement, and others. Community leaders and citizens around the world must be informed, motivated and empowered to become part of the solution. “Cities must take responsibility for our contributions to global climate change,” says former Los Angeles Mayor Antonio Villaraigosa. Unfortunately, few local communities have the ability to engage their citizens in developing a common vision around this issue. Some need guidance on a collaborative process to achieve consensus. Others need help outlining the spectrum of actions that they can take to cut pollution, save energy, conserve water and promote health and sustainability. Other communities around the world already are in contingency mode and need help mitigating and weathering the impacts of climate change on their homes and businesses. Many community leaders need coaching to bring all stakeholder groups to the table to discuss opportunities, threats, resources, and priorities. As communities begin planning, they need comprehensive guidance regarding the full range of possible actions to consider in their plans. Many communities are limiting their sustainability visions to the energy efficiency of city buildings and vehicle fleets. They need to learn from other cities that have embraced a broader spectrum of possible actions such as investments, tax policies, water use, tree management, open space, expanded recycling efforts, and many others. 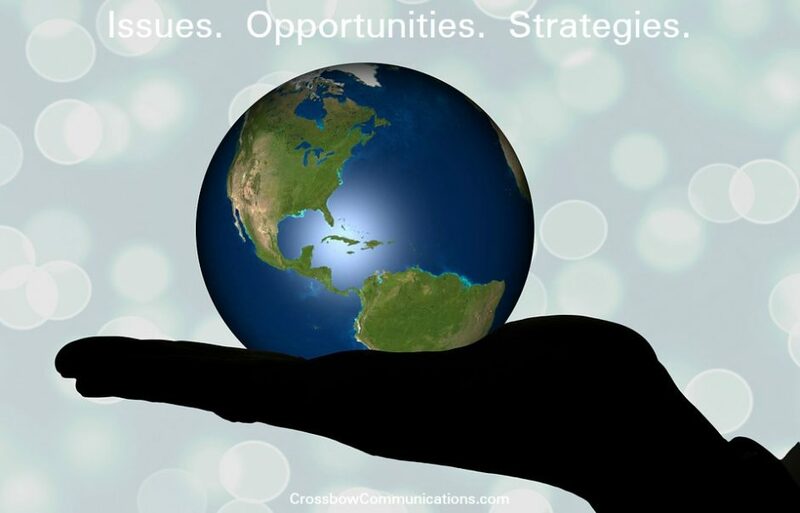 Crossbow is negotiating with host cities, universities, business partners and sponsors now.